When these situations arise, more often than not, it is not in the budget. And, as long as there is dial tone, it’s hard to convince the powers that be of the necessity of spending dollars on replacing their communications system. So, what are your options? Financing is a great alternative to traditional funding sources. It lets you act quickly and does not negatively impact your budget. When choosing this path, you need to consider carefully the funding source. You need a source that is responsive and understands the nuances of acquiring new technology and has the expertise to meet your exact needs. One such company is NEC Financial Services. NEC Financial Services has provided IT/communications finance solutions for more than 30 years and during that time has supported many companies in getting all their technology needs through flexible financing options. They start with a transaction team and use underwriting and financing contracts that are customizable to their clients’ needs. Their unique system enables them to create a better solution that ensures their clients have what they require to grow their business. NEC Financial Services team offers several options for the financing and leasing of technology acquisitions. And, the best part? You can purchase various IT hardware, software and associated items from multiple vendors and have NEC create a financing package customized to your specific needs. Terms to Protect Against Technology Obsolescence – for clients where obsolescence is a real issue, they can structure shorter terms so they can keep up with important technology updates to grow their business. Maintenance Financing – option to finance one of the more expensive, yet critical components of a new technology purchase – maintenance. Tech Refresh Lease – clients can get technology updated with a simple schedule as an addendum to the master lease or finance agreement. It’s easy and gives a customer an opportunity to keep on top of technology changes. Software Financing an option for leveling out investment costs versus having the initial capital investment cash flow impact the budgeting cycle. Beyond the traditional – NEC Financial Services designs financing options to ensure that clients can receive funding for their technology upgrades and investments, even during the installation or implementation phases. Many times this can be accomplished through various offerings that include direct and working capital loans or structured financing. In addition to the financing options, NEC Financial Services also provides asset tracking. They find that many of their clients require a more robust asset tracking system than they have in-house. They can track assets by jurisdiction, county, state, and zip code, taking the burden from their clients while providing added value. NEC Financial Services goal is to support their clients’ ongoing business growth through long-term relationships. They make great efforts to understand client’s business requirements and growth strategies so that they can structure finance options to meet their needs and successfully implement their plans. Technology is in NEC Financial Services DNA – especially since they are a division of NEC which was named as one of the 50 most innovative companies in 2016. They are truly committed to providing excellent service to their clients to ensure they are able to get the technology they need to remain competitive. 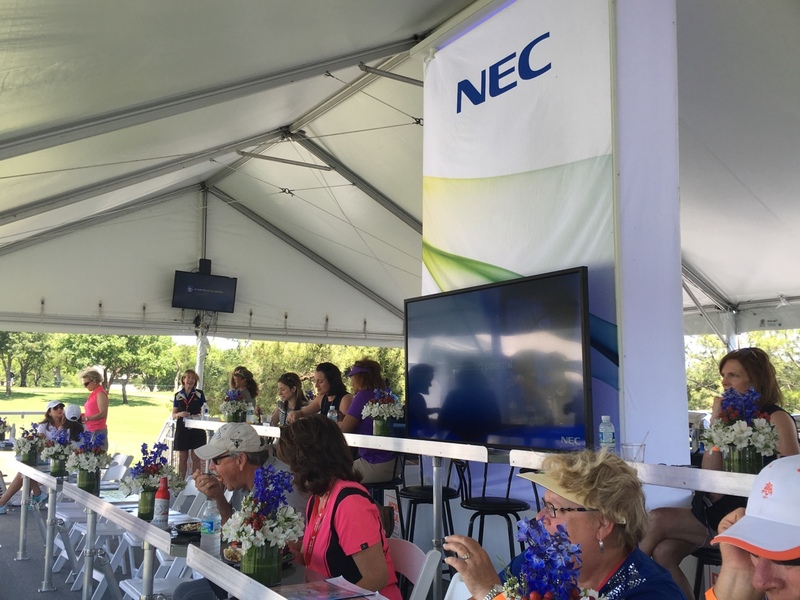 Take advantage of NEC’s incredible promotions – available only for a limited time! As a society, we’re increasingly comfortable with cameras being a part of everyday life. They’re built into our phones, hanging over every traffic light, and placed behind most cash registers. Still, for law enforcement, a perfect image of a face can be hard to come by, especially when suspects intentionally try to obscure their identity. It was this issue that Dr. Anil Jain, distinguished professor of computer science and engineering at Michigan State University (MSU), set out to solve Using a database of unconstrained images – also known as “faces in the wild” because pictures are pulled from sources like social media – Dr. Jain and his team (Dr. Dayong Wang, a postdoctoral researcher, and Charles Otto, a doctoral student) created an algorithm that quickly generates a list of candidate matches to help identify unknown faces from surveillance camera footage or crime-scene images. NEC recently partnered with Dr. Jain and MSU to license this large-scale face-search system and will use it to enhance its current facial recognition solutions. Since joining MSU in 1974, Dr. Jain has received numerous recognitions for his contributions to the field of pattern recognition and biometrics, including his February 2016 election to the National Academy of Engineering (NAE), one of the highest professional distinctions bestowed on an engineer. Interestingly, he didn’t set out to specialize in biometrics. His career took a turn when the U.S. government engaged Dr. Jain, about 25 years back, to find civilian applications for a government-designed hardware, the Splash 2 processor, that was based on FPGA technology. For years, biometrics was primarily used for law enforcement and government applications. Over the past five years or so, we’re seeing more consumer applications of biometrics. We use fingerprints to unlock smartphones. There’s even a facial recognition application that can estimate a subject’s age and gender for targeted advertisements. According to Dr. Jain, the rise of biometrics in our everyday lives has had an element of serendipity as well – where market forces have had to align with high usability and low cost to facilitate adoption. Dr. Jain and his doctoral students continue to use their research laboratory to investigate real-world issues and address long-standing research problems. In addition to the large-scale face-search system, recent topics include a study on the persistence of fingerprint recognition accuracy over time and methods to prevent printed photo and replay attacks on a face recognition system. NEC is proud to collaborate with visionary leaders like Dr. Jain. NEC already has one of the strongest biometrics offerings available, and as we continue our own research and forge partnerships with biometric leaders, the future of biometrics is something to look forward to.